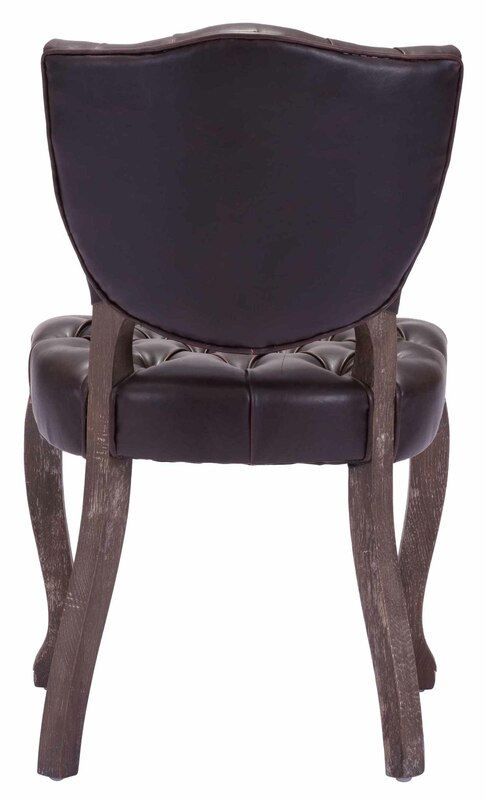 The Leavenworth Dining Chair Brown features a French inspired design that will instantly enhance your dining area in an instant. 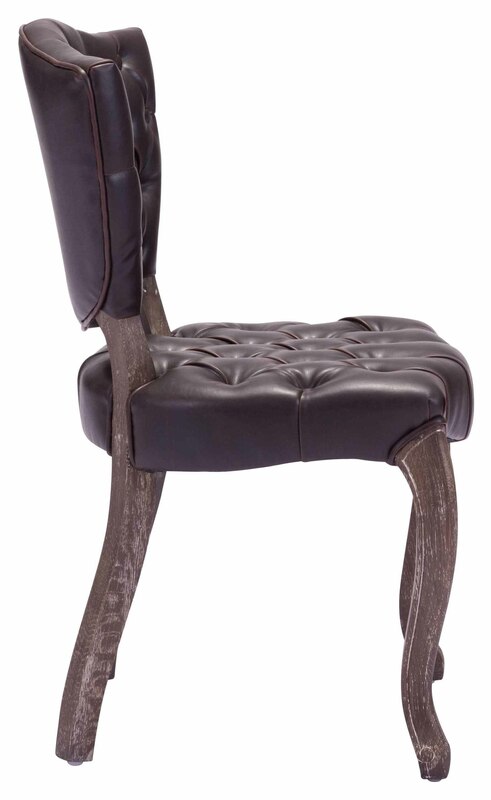 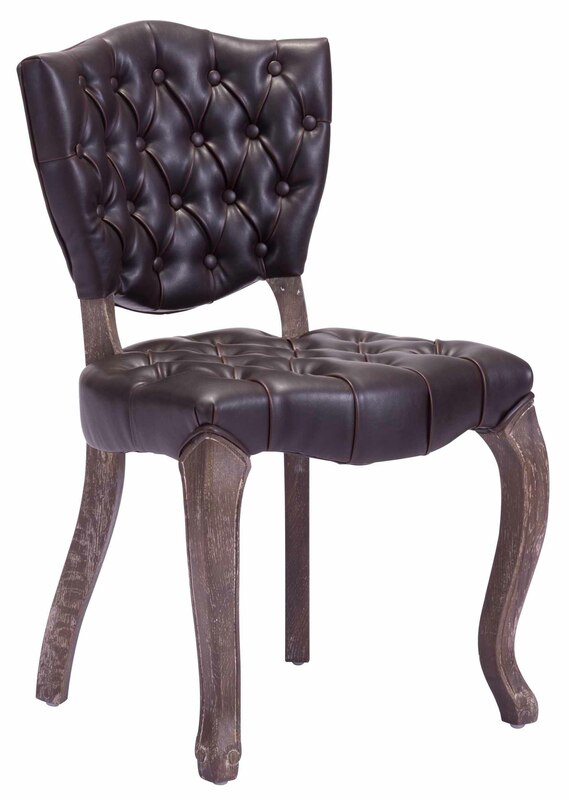 Engineering to this amazing dining chair beings with the solid oak wood frame, which has been given an antique finish. 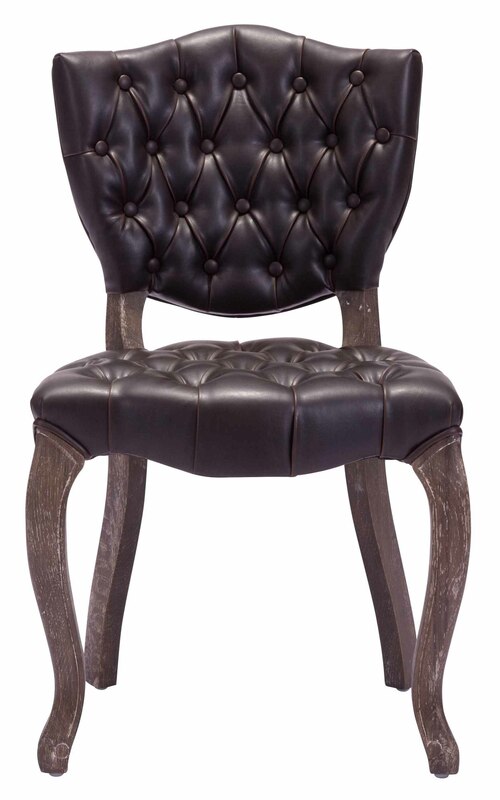 The comfortable cushioned and intriguing button tufted seating comes upholstered in a brown leatherette fabric and is sold in sets of 2.